My interest in hot cocoa is related directly and exponentially to the temperature of my toes. 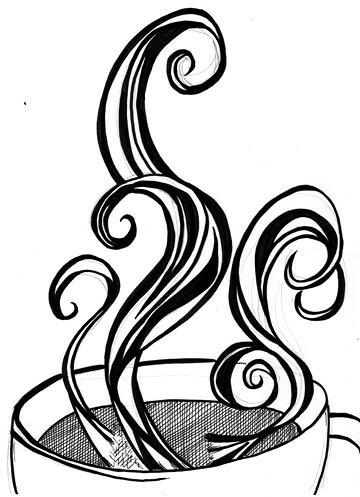 The colder they get, the more cocoa I mix in hopes that the elixir will do more than make hot love to my taste buds, but that the afterglow will be felt in my feet. While I wouldn’t bet the farm on instant cocoa, even such a ho-hum cup warms as well as my Smart Wool socks. Additionally, it’s the perfect thing to serve to a yard-full of boys hosting their own Olympics and it will entice 11-year-old girls to rejoin humanity after being holed up in the bedroom quizzing each other from the pages of Discovery Girls. While the reasons we rely on this sugar-cocoa concoction to carry us through the winter are particular to my family, I figured our use was shared by many. 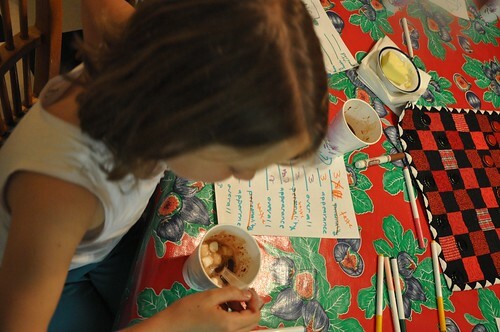 And although instant hot cocoa is chock-full of unintelligible and unhealthy preservatives, it needn’t be unappetizing. 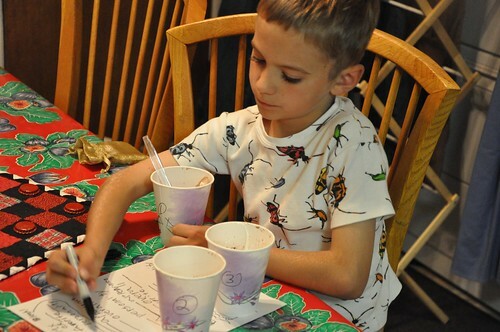 So, with that in mind, one winter evening my family offered itself up as guinea pigs and conducted a taste test of three instant hot cocoa brands found at the grocery store: Swiss Miss, Nestle and Stephen. With a slew of paper cups and a kettle of water, we sipped, swished and took notes on taste and color, then added the two together for a final score. The testers took their job seriously. Everyone was happily riding the sugar high and no one wanted the trip to end, so we motored on. 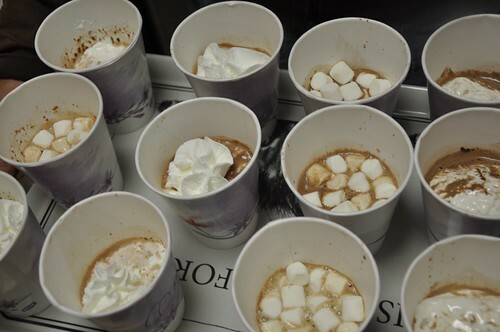 More Swiss Miss was ladled into cups and then topped with mini-marshmallows, whipped cream or marshmallow creme. 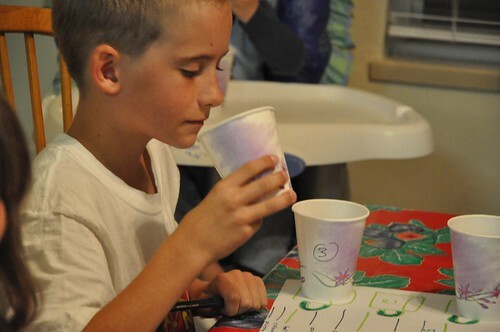 Again, each cup was judged for taste, texture and then received an overall score. Swiss Miss for its “sweet, uncomplicated flavor” and canned whipped cream for its ability to make even the homeliest cup of cocoa look “picture perfect.” It also received high marks for its balance of sugar and vanilla. Nestle lost points for being too sweet and Stephen received a unanimous thumbs down for tasting “slimy and sour.” Marshmallow creme came in second, getting dinged for being “too thick” and “cloying,” while mini-marshmallows were dismissed after melting away in 10 seconds. Our judging sheets were haphazard scribbles, so I tinkered a bit and turned it into something to share with the whole hot cocoa-loving world before we give winter a kiss and a kick out of bed. How fun and what serious testers you have marking their evaluation sheets! I am sticking to the chocolate chip version you posted awhile back….making some as we speak (umm, as I type). I'm laughing from Madrid. It is still dark in the mornings here when the kids get up for school, so mornings are a tough time at our house. For this reason, I get up early and make a special effort at hot chocolate everyday. It started with the Spanish national instant chocolate drink – Cola Coa (sounds like cola cow). (One of Anna's first homework assignments was to familiarize herself with this ubiquious beverage.) After several experiments, we have now settled on melted chocolate in milk frothed with the hand blender and a shot of coffee. I knew I had it right when Anna announced groggily,"You make a mean mocha." So glad you created a kids version of the wine tasting party. Thanks for the smile. Heather, your morning mocha sounds delicious and very similar to the chocolate chips I toss into my steamed milk. 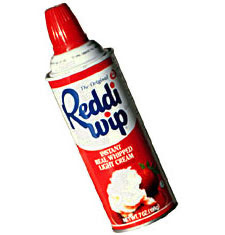 Mindi, we'll have to give Heather's version a try! Ma, we had a ton of fun doing this. I want to revisit it with some gourmet chocolate mixes, like the Dagoba chili cocoa mix from Aunt Holly. When we do, you're invited.